No matter how many times you see it, losing weight dramatically never fails to shock. 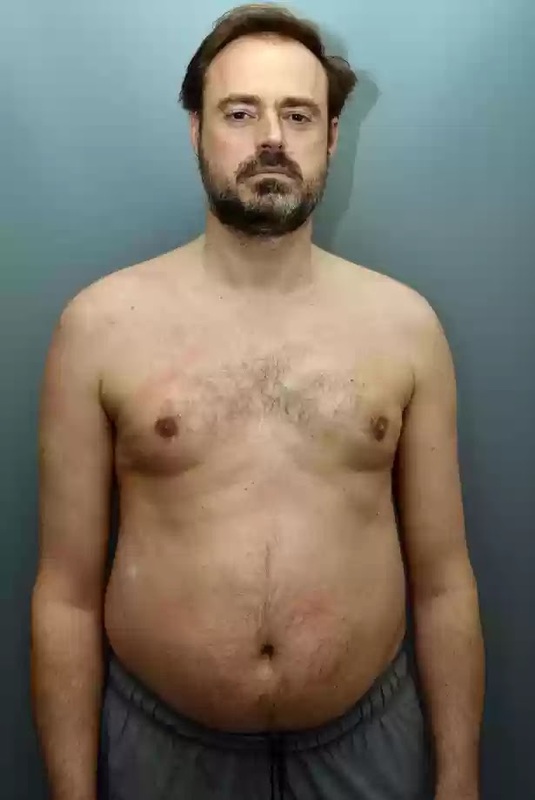 Take a look at shocking before and after weight loss photos of Jamie Theakston has unveiled his new look - after losing half his body fat. It took him half a year to achieve these eye popping results. The radio DJ embarked on a gruelling six months fitness regime and it's certainly paid off. It was a challenge that he took up with full commitment. The former Live and Kicking presenter has completely revolutionised his look after being challenged by Men's Fitness magazine. Personally he is delighted with his new look. And he admits he is now in better shape than ever before. The 45-year-old told the magazine: "I didn't know the difference between protein and carbohydrate and had never taken much notice. He described his former routine that left him looking like a blown up ballon. "I'd be in the studio at 5am, then I'd have a breakfast at 6.30am and maybe another one at 8.30am, and it was sausage and bacon sandwiches, tonnes of coffee. Looking back it's kind of shocking." Although losing excess fat had never been his goal before, the breakfast show presenter had always been active when he was younger and had been a keen fencer. But he admits he had let this slide as he got older. New lease on life. However, thanks to his new exercise and healthy eating regime, he says he feels better than ever. "You can see it in the little things, like running upstairs: a year ago, I was carrying an extra three sone. "I feel brighter, my complexion's better, all of those things." By losing weight and toning up, Jamie Theakston dramatically turned himself from a bulging tummy slob to a six pack hunk.